An artist's rendering of the Orion spacecraft. Credit: NASA. Lockheed Martin is soliciting ideas for flying commercial payloads on board Nasa’s Orion spacecraft. Orion is the only spacecraft in the world that has been designed for human deep space missions that will take astronauts farther into space than ever explored before. The company will be required to conduct market analysis before its mission of bringing commercial opportunities to deep space and supporting a thriving commercial marketplace beyond low-Earth orbit. 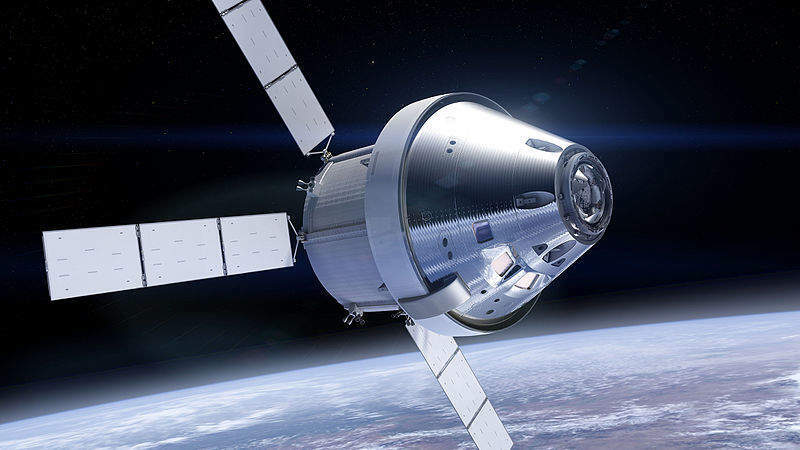 Currently, Lockheed is inviting both domestic and international organisations to come up with ideas regarding commercial payloads that would be used for one of Orion’s upcoming missions to the Moon and back. Lockheed Martin is carrying out the study in collaboration with NanoRacks, a major provider of commercial access to the International Space Station. Lockheed Martin space commercial civil space human space exploration vice-president and Orion programme manager Mike Hawes said: “Access to the Moon and deep space for commercial entities opens up new worlds for all of us. It advances science, powers innovation, and inspires a new generation of engineers. The payloads could be for Science, Technology, Engineering and Mathematics (STEM), art and entertainment, data or any other commercial endeavour. Being static or deployable, the payloads can also be flown in the interior crew cabin or can be mounted to the exterior of the spacecraft. The commercial payloads aboard Orion would help support future expansion into areas such as the lunar gateway, landers and Mars spacecraft.